In November 2010 it was reported that India and Pakistan were building rival dams on the Neelum river, a tributary of the Indus River. 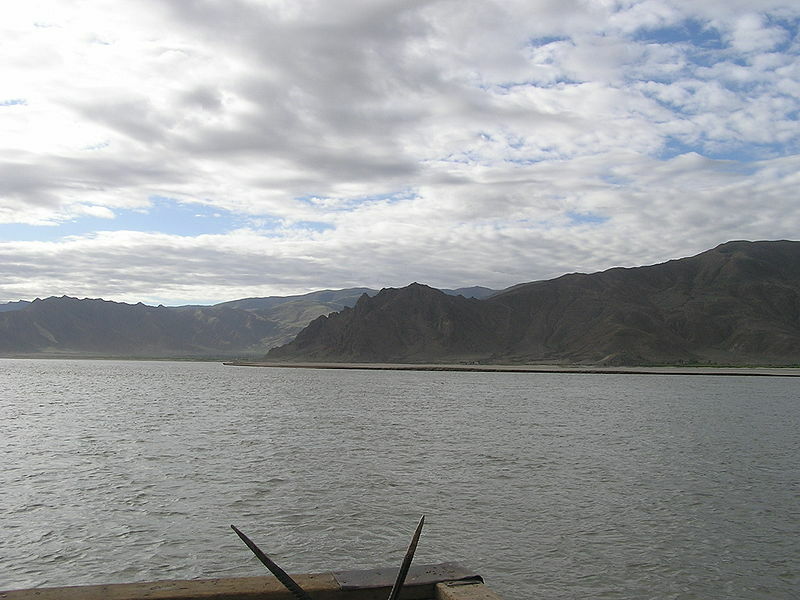 The river basin is covered by the Indus Water Treaty, signed in 1960. For decades, the treaty has been “widely cited as a model of exemplary cooperation in an often fractious bilateral relationship”, but India’s current development plans, focussing on hydro-electric power, threaten to destabilise the agreement. The agreement is crucial for Pakistan, as India controls the flow of the Indus into Pakistan, where it is critical for irrigation. The geopolitics of water in the region are discussed in a 2003 article by Stephen Brichieri-Colombi and Robert W. Bradnock. The article compares and contrasts the Indus river basin with the Ganges-Brahmaputra-Meghna basin, the latter governed by the 1996 Ganges Waters Treaty between India and Bangladesh (previously East Pakistan, until 1971). The authors describe how the relative lack of development of East Pakistan and its lower geopolitical significance resulted in substantially less cooperation between India and Pakistan in this river basin, with plans proceeding independently or in direct competition. The authors propose a complex of barrages which would allow the Brahmaputra River, whose flows are increasing, to supplement Bangladesh’s use of the Ganges, whose flows are decreasing; the scheme would also allow India to use more of the Ganges’ flows elsewhere, in drier parts of its catchment. The complex would require substantial cross-border collaboration, in support of the development of a river basin in which over 10% of the world’s population lives. This entry was posted in The Geographical Journal and tagged Bangladesh, Brahmaputra, Development, Environment and Society, Ganges, Hydrology and Water Resources, India, river basin on December 6, 2010 by Robin de la Motte. In November 2010 The Financial reported a study of 12 countries’ newspaper coverage of the UN’s 2009 Climate Change Summit in Copenhagen. The study found all countries under-reported the climate change science, with articles focussing on the science representing less than 10% of the sample. In addition, nearly 80% of the sample articles gave less than 10% of their coverage to the science. Similarly, a 2010 article by Neil Jennings and Mike Hulme found that climate change science in their area of interest was poorly covered in UK newspapers. UK newspaper articles (studied for the period 1987 to 2006) on the possibility of abrupt climate change typically gave no indication of the probability of such an event, or else contradictory probabilities. 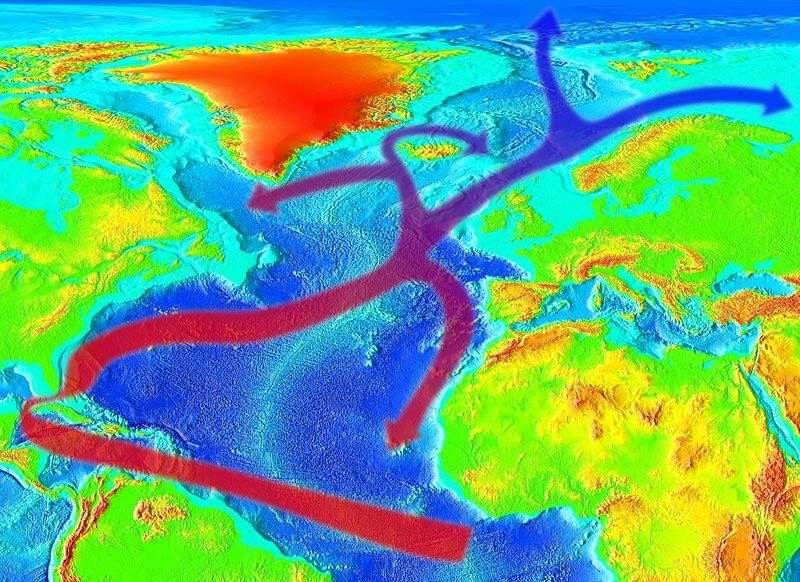 Many reports involved sensationalist headlines around the issue of the possibility of a collapse in the North Atlantic Thermohaline Circulation (THC), and represented the event as causing a new “Ice Age”. In fact the scientific consensus has been that whilst there is substantial uncertainty around the likelihood of a THC collapse, it is extremely unlikely this century, and possible cooling of the North Atlantic by 3 to 5 degrees in a decade would be a regional effect, not global (as an Ice Age is). Jennings and Hulme note that “the scientific uncertainty surrounding the possibility of a collapse enabled journalists to emphasise the high-consequence dimension of the risk while downplaying, or failing to mention, the low probability of occurrence [in the 21st century].” In addition, they noted that the North Atlantic THC was often erroneously represented as the “Gulf Stream”, which is a surface current driven by wind and the Earth’s rotation, while the THC is a deepwater current driven by differences in temperature and salinity. The two currents are linked, but only the latter is considered at any risk from climate change, primarily from changes in salinity due to increases in freshwater entering the sea from permafrost melt and increased precipitation. This entry was posted in Area and tagged abrupt climate change, Climate change, Climatology, Environment and Society, Gulf stream, media studies, Thermohaline circulation, UK newspapers on November 20, 2010 by Robin de la Motte. A forthcoming article by Joseph Pierce, Deborah G Martin, and James T Murphy examines the nature of place-making – “place” being a key theoretical idea in geography since at least the 1970s. In surveying the literature, they identify three categories of “the politics of place”, “networked politics”, and “networked place”. The first category centres on how shared place understandings interact with political contestations, in an iterative process in which they shape each other. The second category centres on the understanding of networked communities as based on a shared identity, often across scales and locales, creating “an interlocking bricolage of (always partially) shared place understandings”. 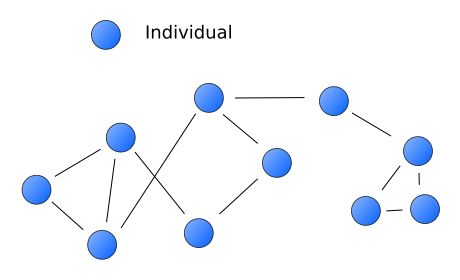 The final category to a certain extent combines these, with networks “always ground[ed]… in multiple, interconnected, multi-scalar and overlapping places”. The article draws on Doreen Massey’s (2005) concept of place as bundles of individual experiences constantly re-negotiated, creating “temporary constellations” of place which appear to have greater permanence to those who recognise and participate in their making than they do from outside. So for example the place of “Toronto” appears durable even as it expands to encompass neighbouring municipalities, and otherwise evolves, being constantly recreated and subtly changed. Featuring case studies of Bolivian forests and an American hospital expansion, the article demonstrates “the always ongoing character of relational place-making”. The authors argue that “all places are relational, and are always produced through networked politics”[emphasis in original]. 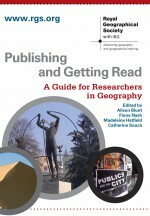 This entry was posted in Transactions of the Institute of British Geographers and tagged Big Society, church, co-production, Cultural Geography, place, place theory, Political Geography, Social Geography, Space and Place, Urban Geography on November 7, 2010 by Robin de la Motte. It has been known for some years that in South Asia, particularly in Bangladesh, large numbers of people are exposed to unsafe levels of naturally-occurring arsenic in water supplies drawn from groundwater. A recent study in the British medical journal The Lancet linked a fifth of all deaths in Bangladesh to arsenic contamination, and estimated that up to half the population (77 million people) had been chronically exposed. The problem affects substantial parts of South Asia, and arises due to the region’s increased use of groundwater in recent decades in order to avoid water-borne diseases found in surface water. The arsenic issue is just one aspect of Bangladesh’s water problems, which are likely to worsen in future. Climate change and population growth make it likely China and India will build new dams, reducing the volume of surface water Bangladesh receives downstream. Previous dams have already led to reduced water flows, causing problems of rivers silting up and increased salinity from seawater intruding in coastal areas. A recent Geography Compass article (Benner and Fendorf 2010) examines the arsenic issue, which has been called the “largest mass poisoning in history”. Over 60 million people in the region are affected by arsenic contamination, with concentrations in drinking water sometimes over 100 times World Health Organization safety standards. Drinking water is the primary concern, but in addition contaminated water used for irrigation may – depending on local conditions – accumulate in soils and affect crops, particularly rice, although the health impacts of this are not well understood. Benner and Fendorf describe how the problems are caused by a combination of environmental conditions specific to the Asian deltas. The arsenic originates in Himalayan rocks, from where it is eroded and carried in river sediment to the delta floodplains, and then enters local aquifers. Benner and Fendorf note that the large increase in groundwater extraction (with nearly a million wells in Bangladesh by 2003) has unpredictable effects on arsenic concentrations, with both positive and negative effects possible; so far there is insufficient evidence of any effect. They note the potential of tapping deeper aquifers, which are largely uncontaminated, but also the risk of thereby drawing in contaminated water from shallower aquifers. 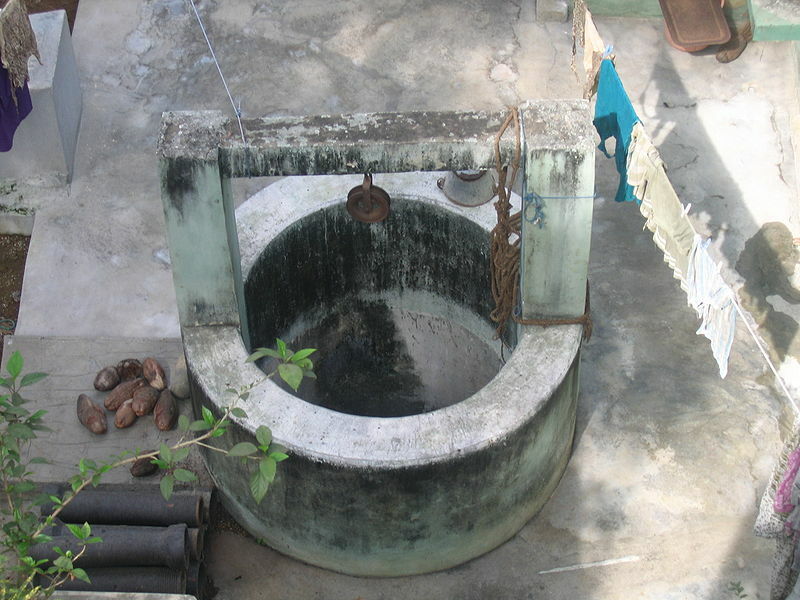 This entry was posted in Geography Compass and tagged arsenic, Bangladesh, Development, drinking water, Environment and Society, groundwater, Hydrology and Water Resources, South Asia, water on October 23, 2010 by Robin de la Motte. On 29 July 2010 The New York Times reported that one of the world’s largest microfinance organizations, India’s SKS Microfinance, was preparing to launch on the Indian stock market. Whilst not the first, SKS was one of the biggest, and it caused controversy because a US-based non-profit microfinance group invested in SKS, Unitus, had said it would close down its microfinance activities after the launch. Muhammad Yunus, winner of the 2006 Nobel Peace Prize jointly with the microfinance pioneer he co-founded (Grameen Bank), criticized the move as encouraging profit maximisation. The launch ultimately raised around $350m. Besides launching on the stock market, Indian microfinance institutions are also pursuing securitization, with micro-loans being pooled into marketable securities. A 2010 article by Bipasha Baruah looks at the role of NGOs in microfinance. 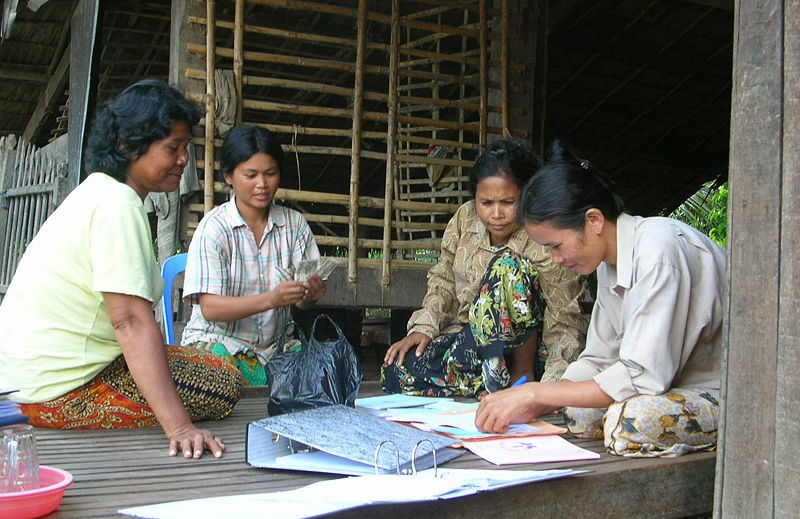 Baruah acknowledges the success of NGO microfinance in extending credit to financially excluded groups, particularly women, but points to problems of sustainability, with many smaller microfinance NGOs dependent on donor funding and government subsidies, partly because many provide social services such as rights awareness and literacy classes alongside microcredit. Particularly for these less financially focussed NGOs, attempts to provide links for the poor into the formal banking system can serve poverty reduction well, since this offers a much broader range of financial instruments, including savings accounts, which NGOs cannot legally provide. Baruah highlights doubts in the literature about the long-term impact of microcredit on income levels of the poor, whilst noting benefits in consumption smoothing and women’s control over household resources. Studies also show concentration of NGOs in urban and better-developed areas, with less activity in very rural and very poor areas, following a certain market logic which in some cases leads to competition between microfinance NGOs in relatively well-served areas, at the expense of covering areas with greater financial exclusion. Contradictions between financial sustainability and reaching the poorest may also appear, with NGOs in some cases “moving up the poverty scale” to focus on those more able to borrow and repay. Beyond this, Baruah argues that “the use of microfinance carries implicit neo-liberal assumptions about how development should occur.” She highlights literature showing that borrowers often lack economies of scale, complementary inputs, key skills, or other requirements for succeeding in an often highly competitive marketplace with limited microcredit funds. Uncoordinated access to microcredit can often lead to an overexpansion of particular local industries, limiting the poverty alleviation benefits and making microcredit, in one commentator’s words, “a glorified form of subsistence.” Some NGOs have recognised these problems and attempted to support borrowers with various aspects of enterprise development, including information and training. Some NGOs also organise women to pool their labour or act as unions to demand increased wages and better working conditions, and Baruah suggests pressing for government employment programs to support the poorest, who are often unwilling to seek credit because they lack the other resources needed to use such credit effectively. Baruah concludes that overall microfinance “is firmly embedded within a neo-liberal framework that seeks to increase access to existing financial resources without really challenging the entrenched status quo of unequal power relations between different groups of people,” and that this is precisely why microfinance has enjoyed such great support from governments, NGOs and donor agencies. This entry was posted in Geography Compass and tagged Development, Economic Geography, India, IPO, microfinance, neoliberalism, securitization on September 25, 2010 by Robin de la Motte. On 22 August 2010 The Observer newspaper reported that in July the Atomic Weapons Establishment (AWE) at Aldermaston in Berkshire, which houses the UK’s “Trident” nuclear weapons programme, had experienced “a serious fire in the base’s explosives area… which resulted in local residents having to be evacuated and left one member of staff injured”. This was followed several days later by a Guardian report on the UK’s new nuclear reactor programme falling behind schedule: delays in developing and approving designs for the first new UK reactor for over two decades pushed the scheduled date of first operation back to 2018. The new reactor programme is a significant part of the UK’s strategy for limiting carbon emissions. A 2010 study shed light on how incidents like the one reported may affect the views of people living nearby. “From the familiar to the extraordinary: local residents’ perceptions of risk when living with nuclear power in the UK” used a narrative interview approach to examine perceptions of risk by residents near two UK nuclear power stations. 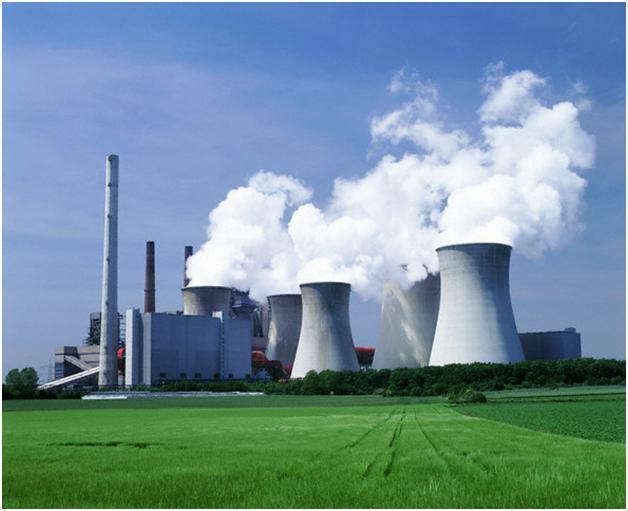 The study identified two major themes: one, of generally seeing the power station and its risk as normal and ordinary; the other, of sometimes “noticing the extraordinary”, and dealing with the suddenly-foregrounded risk in different ways. As one resident put it, “[I]t’s like living with a bit of a birthmark. You know it’s there, you get used to it, you don’t take any notice of it and then something will focus your mind if there’s an issue and you think about it a little bit more.” Risk might be foregrounded either through media coverage or personal experience (such as a relative with cancer), leading to episodes of anxiety. The study noted the impact, for example, of prominent terrorist attacks like the September 11 bombings, which led to heightened fears of attacks on nuclear power stations. The researchers conclude that “while we have shown ordinariness to be the predominant framing adopted by those living close to such sites, the tolerability to nuclear risk that it supports is also a fragile, unstable state,” and warn against taking residents’ trust for granted. This entry was posted in Uncategorized and tagged Aldermaston, Climate change, Environment and Society, environmental risk, nuclear power, nuclear safety, risk perception, Trident on August 28, 2010 by Robin de la Motte. On 31 July 2010 The Independent newspaper reported that the world’s first certified Fair Trade gold was being produced in Colombia. Around 200 families are currently part of the Oro Verde program, which gives producers a 15% premium above the market rate. 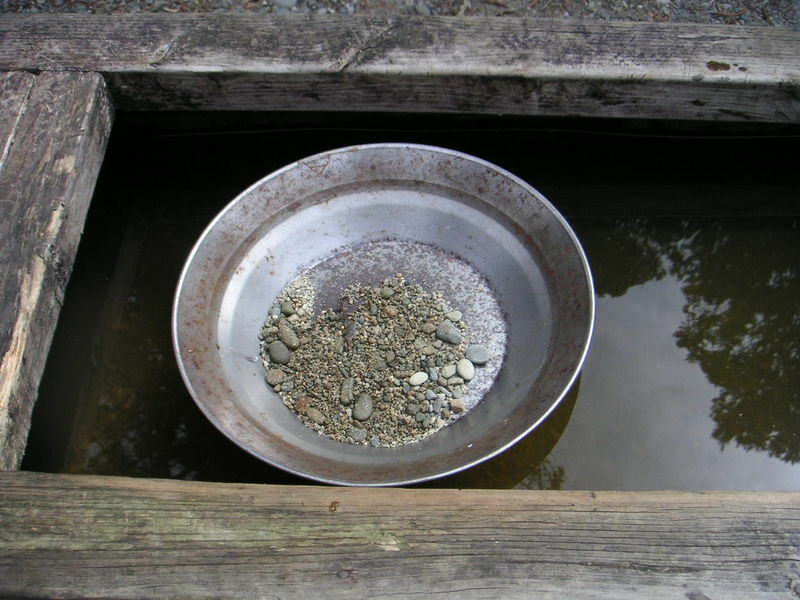 The program also aims to be ecologically friendly – producers “cannot use toxic products like mercury, must not kill fish and other aquatic species, must restore any layer of soil that is removed and fill it so that it is suitable for replanting.” This approach contrasts with the damage caused by conventional gold mining, which typically uses toxic mercury to separate gold from alluvial sands. Oro Verde won the 2009 Seed prize – sponsored by the United Nations and the International Union for Conservation of Nature (IUCN) – for promoting sustainable development. A 2008 article by Anne Le Mare reviewed the impact of Fair Trade schemes on the social and economic development of producers. Le Mare notes that the value of Fair Trade schemes depends on observers’ perspectives: a study by Oxfam highlighted improved socio-economic development, including more children in school and greater gender equity, while a study for the UK’s Department for International Development (DFID) focussed on economic aspects, highlighting capacity building and trade facilitation. Overall, Le Mare’s survey of the literature identifies as common themes a range of individual benefits to producers (including increases in self-esteem, economic position, improved health and better diversification of livelihood); alongside benefits to producer organisations (including increased institutional capacity, and better market access and diversification). However, the studies also suggest that building and maintaining the partnerships and networks involved is difficult and time-consuming, and particularly in a context of volatile commodity prices, marginalised areas need more support from a range of actors, including local and national governments. Le Mare concludes that “”[w]hile Fair Trade has brought positive benefits, it cannot, on its own, solve the complex problems of marginalised areas,” and should be seen as part of a diversified development strategy. This entry was posted in Geography Compass and tagged Colombia, Development, Economic Geography, Environment and Society, Fair Trade, fairtrade, gold mining on August 14, 2010 by Robin de la Motte.